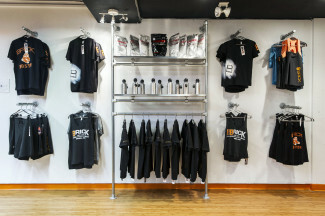 You own a clothing business, but you need a proper way to display your inventory. The way you display your pieces is a very important part of telling your brand’s story. 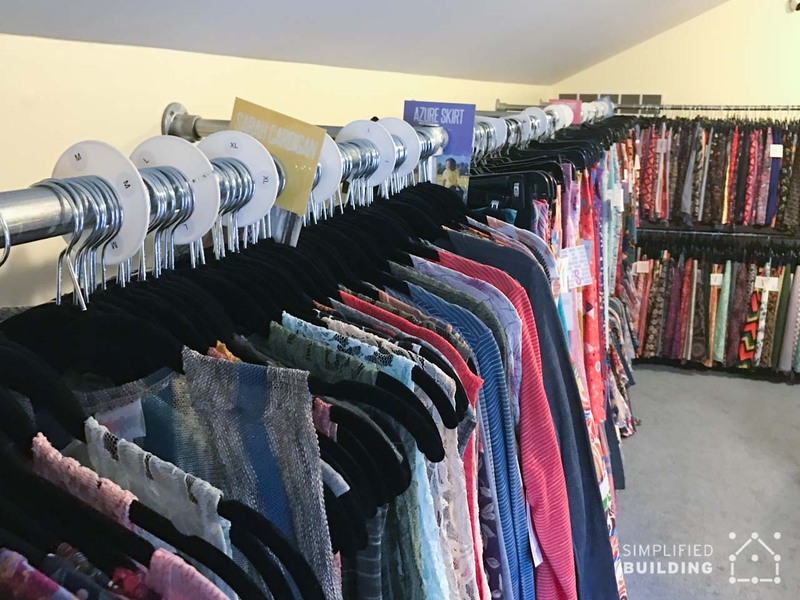 In the previous post, Store Fixtures that Optimize your Retail Space, we talked about how store fixtures and clothing racks are directly connected to a customer's experience. The layout in your store helps customers make better choices, which lead to better purchases! It’s no surprise why customers come to us for help to outfit their stores. Pipe and Kee Klamp Pipe Fittings are becoming the parts to use for retail clothing racks and store fixtures. 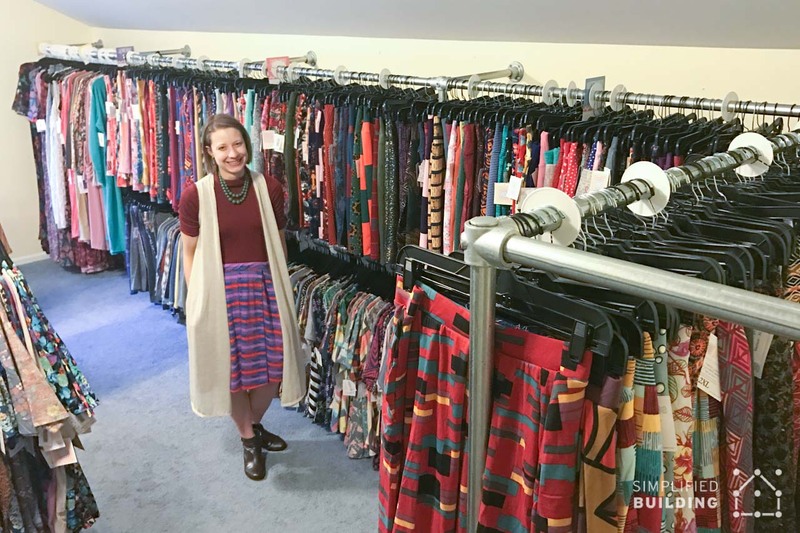 So when Emily, an independent fashion consultant for LulaRoe clothing, and her husband Scott approached us with their project, we were so excited to help optimize her in-home retail store. 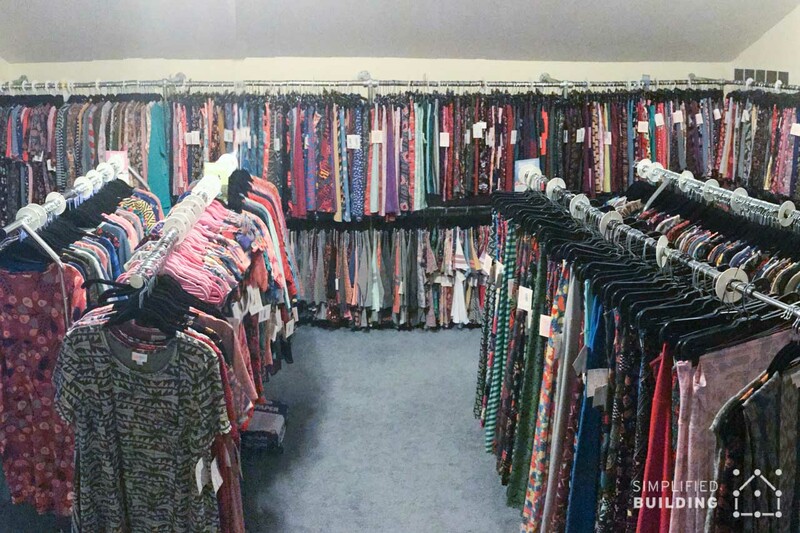 LulaRoe is not your typical clothing brand. You won’t find their clothes in any brick and mortar shop. Their “buttery-soft leggings” and exclusive prints are sold through consultants, like Emily, in their own homes and personal online boutiques. LulaRoe’s goal is to help women feel confident, comfortable, and beautiful in their own skin. A key part to meeting that goal, besides the genuine relationships between consultants and customers, is having a welcoming in-home space for women to shop. Emily had the room and a ton of pieces (3,000 to be exact! ), but needed to improve her layout so customers could shop with ease. 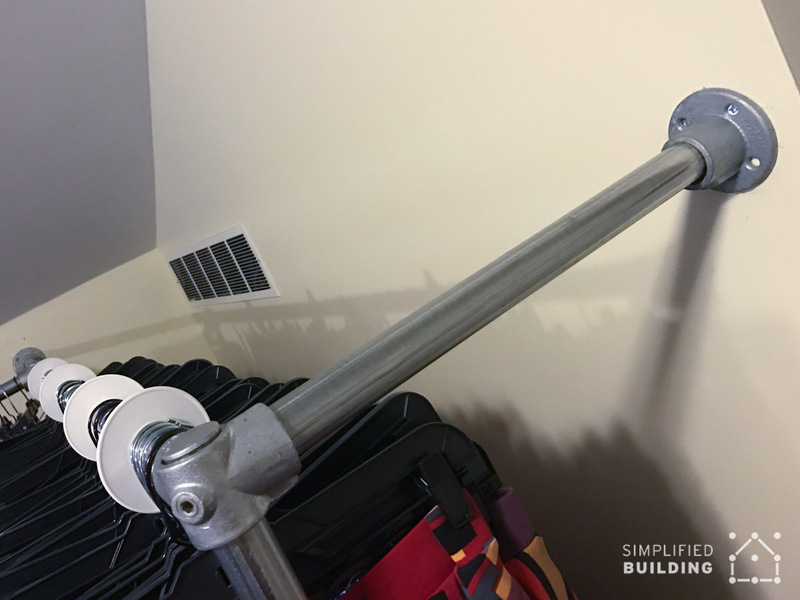 Constructed of Kee Klamp fittings, Simple Rack clothing racks are durable, modern looking and easy to assemble. Available as a kit or in custom configurations, these industrial quality clothing racks are suitable for store front, storage room, or residential settings. Emily already had a different brand of clothing racks installed, but they could no longer hold the weight of the clothes. She wanted something more stable. That’s when she found our Wall Mounted clothing rack. Emily liked the style, but needed custom lengths for her sloped ceilings, so she contacted our projects team. She and her husband Scott provided all the specifications, and our projects specialist, Dan, sketched a simple configuration to meet their need. 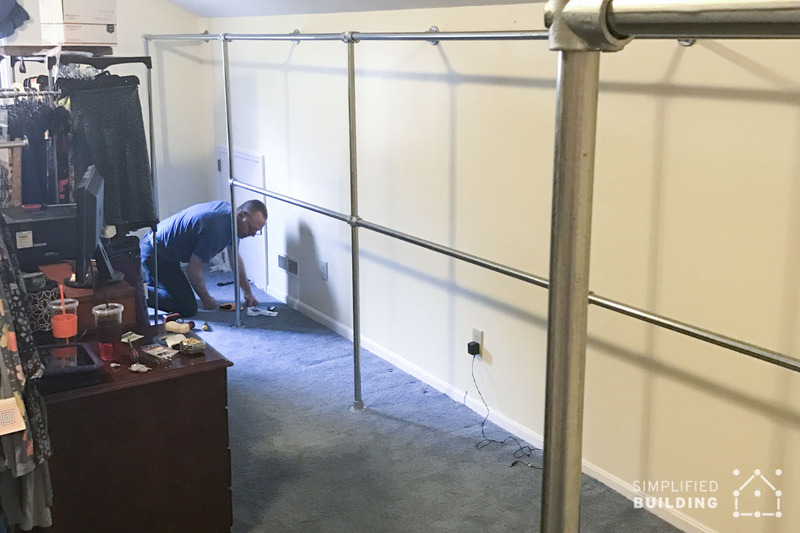 We know what you might be wondering -- What’s the installation process for these custom clothing racks like? Kee Klamp Pipe Fittings are designed to make the installation process easy and doable for any DIYer. The set-screws supplied with each Kee Klamp allow for a simple and stable connection to be made with just a standard hex wrench. Even though assembly is easy, whenever you embark on assembling a project of this size, we recommend getting a helping hand. Emily's husband, Scott, and her father were able to get the entire project assembled in a single morning. "The installation process was easier than we expected. My husband Scott was able to get everything assembled over the course of a Saturday morning, with a hand from my father. Once they figured out how to install the first rack and understood how everything fit together, they were able to add on the additional racks in no time. Scott even did some pull-ups on the bars to test it, and nothing budged." Working with Emily and Scott was a treat for us. It’s our goal to take a customer’s vision and work hard to make it happen. So when we hear positive feedback, it’s a win for both of us! "Dan from the projects team was great. He helped customize our racks to perfectly fit our space. The wire-frame models with detailed measurements he provided, gave us comfort we would receive exactly what we needed. We wish we had done this a long time ago!" “[What an] upgrade! 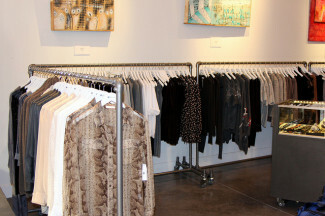 The extra room for clothes is great for pulling inventory and hosting in-person shopping parties. Shopping here during Open Houses will be unmatched! I don't worry about weight limits anymore, and these clothing racks makes it exceptionally easy for women to shop when they come and visit. It’s so gratifying to see how our clothing racks can improve the life of a business, and in the end, your own personal life! Whether you have plans for your business, home, or in-home business, we’re here to simplify your projects so you can spend more time selling, designing, and creating. 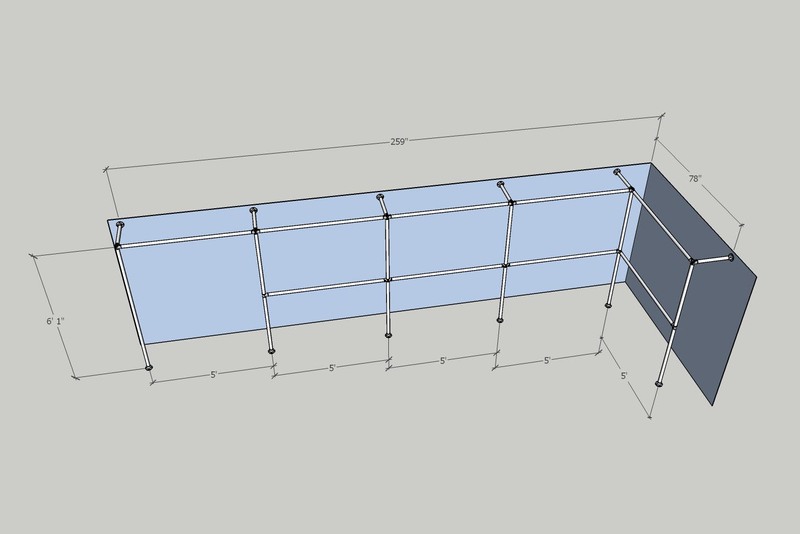 Ready to design and build your own clothing racks? Contact our projects team to build your own custom clothing racks!